Preston Minnesota, the Fillmore County Seat, is a vibrant community in the heart of bluff country in Southeastern Minnesota. Many visit Preston to view the beautiful Root River Valley and access over 60 miles of paved bike trails in and around the community. After visiting, many find it hard to not want to move to this beautiful community. 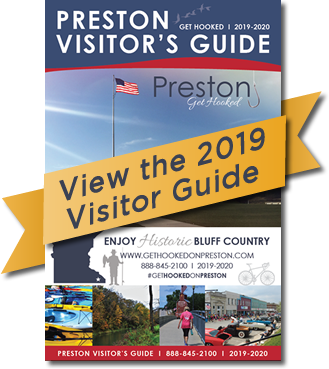 While catering to the tourist, Preston also maintains its traditional role as an agricultural and industrial center. The community is home to several mid-sized industries including Foremost Farms and the POET Ethanol Plant. For more information on moving to the area, you may contact our Economic Development Authority to find incentive packages for new home owners, builders and businesses!